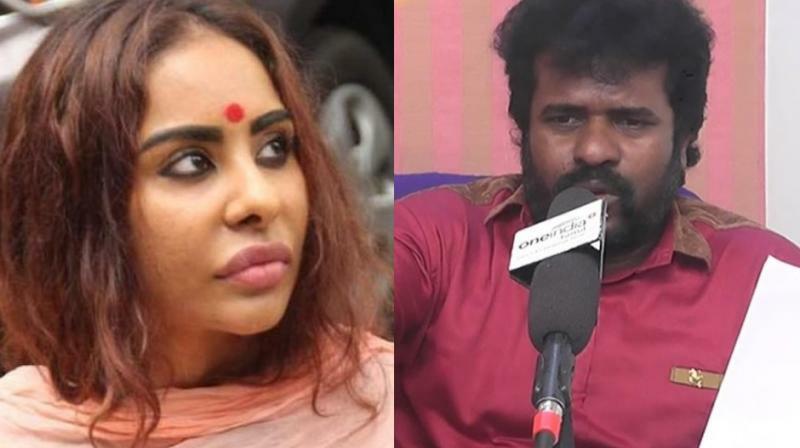 Varahi is latest to be at the receiving end of Sri Reddy. Mumbai: Sri Reddy has undoubtedly acquired the tag of one of the most controversial actresses down South in recent times, starting off with her ‘strip protest’ against casting couch. The actress got a dose of her own medicine recently when she was at the receiving end of verbal attack from Tamil actor-director Varahi. “Sri Reddy has been operating in a way which causes shame, bad image not only to the Indian culture but also to the nation's womenfolk. She herself has accepted the fact that she slept with directors and actors for roles in movies," he was also quoted as saying by Indiaglitz.com. Not the one to take things lying down, the actress has lodged a complaint against the actor-director with the Chennai police commissioner, according to multiple reports. While interacting with journalists after the complaint, he slammed Varahi by asking if he was present when Murugadoss paid her or did he give her money on their behalf. She had also taken to Facebook to express her anger against him, in two posts one seemingly prior to filing the complaint and one after, in her typical style of controversial writing.